From 1973 to 1991, I existed in cryogenic suspension in the idyllic town of Bettendorf, Iowa. Then, from 1991 to 1995, I went to Iowa State University. My senior year, I worked as an intern for the Principal Financial Group. After graduating with a B.S. in Math and Computer Science, I went to work for IBM in Rochester, Minnesota. Then one January day, when the high temperature was -23 F, I asked myself, "What the heck am I doing in Minnesota!?" So I moved down south and enrolled in the Computer Science program at the University of Texas at Austin and graduated with a Master's Degree in May of 1999. Soon afterward, I found myself sucked into the maw of Chipzilla. After a fierce struggle, I moved to Silicon Valley and joined the most Googly-eyed company around. Shortly thereafter, I married my beautiful wife in beautiful Hilo, Hawaii. Somehow or another, I eventually found myself taking Bioinformatics classes at Stanford University. I am currently working on a Super Secret Project. Any time, every time, all the time. I currently live in balmy Los Alto, CA. 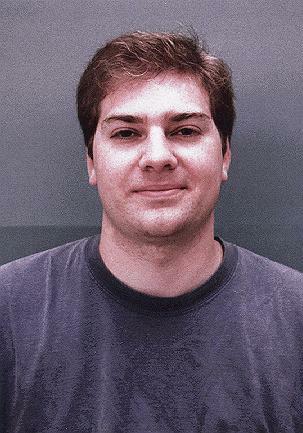 See my very inspiring UT Austin CS Department mug shot in glorious 24-bit color. That's where the tall corn grows!